Work has been underway over the past three months to implement the recommendations. THE GOVERNMENT HAS backed the recommendations made in a report on how to reform An Garda Síochána, and has already begun the implementation of those recommendations. The Commission on the Future of Policing in Ireland made 157 key recommendations, which the Justice Minister Charlie Flanagan has today agreed to implement in full. The Garda Síochána Inspectorate aims to ensure that the resources available to the Gardaí are used effectively, and also provides advice to the Policing Authority or the Minister with regard to best policing practice. The Policing Authority is an independent body to oversee the performance of the Garda Síochána in relation to policing services, with a key focus on public trust. Reacting, the Policing Authority said that it looks forward to receiving the implementation plan and having an opportunity to study and review it. “In the meantime, the Authority will continue to carry out all of its statutory functions of independently overseeing Garda performance including making senior appointments,” it added. The process by which complaints are made about the conduct of Gardaí will also be reformed, and that work will commence on providing for body-worn cameras. “The actions identified will transform how policing services are delivered. Most importantly, local front-line policing will be placed at the core of our police service, ensuring that Gardaí are more visible in communities. Email “Garda reform: Policing Authority and Garda Síochána Inspectorate to be replaced”. 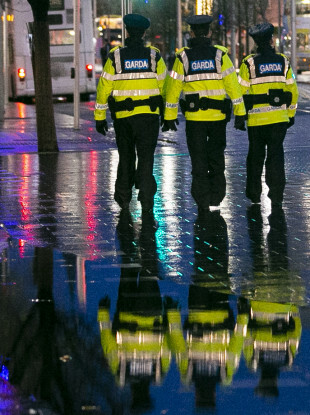 Feedback on “Garda reform: Policing Authority and Garda Síochána Inspectorate to be replaced”.